The Georgian opposition has marked two months since they began protests demanding the resignation of President Mikhail Saakshvili. 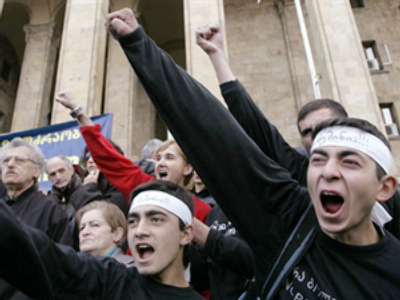 Thousands of protesters have held a rally in front of the Georgian parliament and then headed to the country’s Interior Ministry, Prosecutor General, Finance Ministry and Environment Ministry (all four buildings are situated in the same block). Walking some four kilometers to the block the protesters then formed a living chain around the Ministry buildings. Members of youth opposition groups conducted a mock trial in front of the Interior Ministry building, where Saakashvili was represented by a doll. The Georgian President was sentenced to serve time at the ‘dumping ground of history’. The opposition says large protests are important as it comes just days before the visit of a senior US official. They want to make sure the US is aware that there are those who strongly disagree with President Saakashvili’s policies. The president, however, says he will not resign before his term ends in 2013. 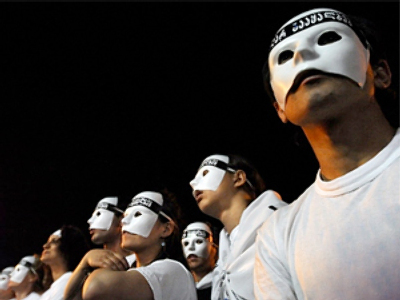 Another theme of the protests is the illegal prosecution of the opposition members. 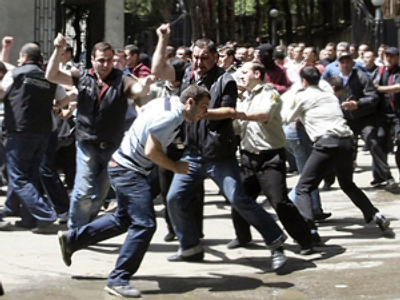 “The police has to act in the interests of the Georgian people, and not become a weapon of political oppression,” opposition leader David Gamkrelidze said. 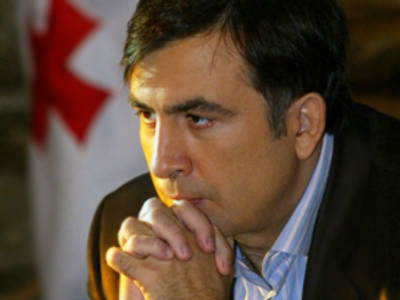 “A criminal regime in our country will not be tolerated,” opposition leader Nino Burdzhanadze said. So far during these latest protests the police have not taken any action.